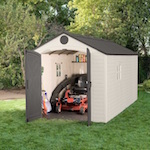 Built with heavy duty plastic (polyethylene) and with still reinforcements on the interior the storage sheds are maintenance-free, beautiful, and easy to assemble. Metal, vinyl, and greenhouse shed options. Great for home use. 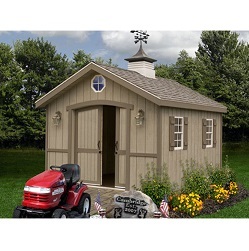 Best Barn Shed Kits at low prices and volume discounts. Shipping Discounts on 2 or more items. Large orders ship free at Competitive Edge Products. High-density polyethylene plastic modular design with steel reinforcements. 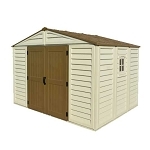 Storage Shed Accessories for Lifetime sheds at low prices and volume discounts. Free shipping on large orders from Competitive Edge Products. Shed Extension Kits at low prices and volume discounts. Shipping Discounts on 2 or more items. Large orders ship free at Competitive Edge Products. 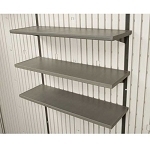 Storage options for improved organization for your home or business. 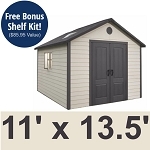 Large Customizable Lifetime Outdoor Storage Shed 11 Foot by 16 Up to 36 Feet! Competitive Edge Products offers a wide variety of sheds from most popular brands like Lifetime, Duramax, Woodbridge, Imperial, Lakewood, US Polymers, Barnkits, and Best Barns. You are here, because you're looking for a storage shed that can clean up and organize your yard, free up storage space inside your own garage, or free up space inside your home. We've got a solution for you. We have storage sheds that accommodate a vehicle, ATVs, and riding mowers. 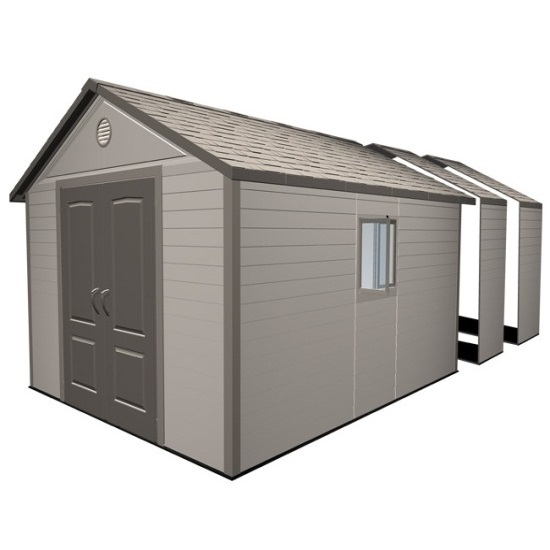 We've also got smaller storage sheds that can accommodate storing firewood, bicycles, and even garbage cans. 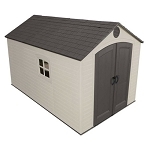 The materials for the storage sheds range from plastic, vinyl, metal, and wood. Our best-selling is the lifetime plastic brand as it is generally the least expensive, but the best quality for the buck. The vinyl and metal storage sheds are a close second, and the wooden sheds are high-quality, but take a little bit more work to assemble. Instruction manuals are available and depending on the size it can take anywhere from just a couple of hours to a few days. The lifetime brand generally just take a few hours. The wooden sheds can take a few days depending on how you customize it. Assembly assistance is available along with the owners manual that shows you how to construct them step-by-step.